This page is dedicated to finance professionals who aspire to become a CFA charter holder. 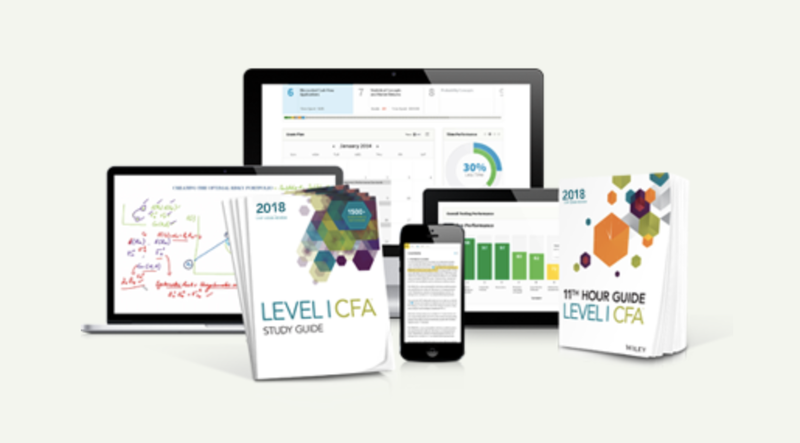 In this website we will share with you the steps on how to become a CFA, as well as the necessary steps to plan, study for and pass 3 levels of the CFA exam on your first attempt. The first step is NOT on showing you how to enter the CFA program. It is on WHY you want to be one, and whether it’s worth it. The CFA designation is granted by the CFA Institute. In order to enter the CFA program, you need to become a member and pay annual fees. How can you gain as a CFAI member? To see if CFA is the one to go for, you have to spend the time researching on other relevant qualifications. There isn’t one that matches exactly with CFA, but a few are close enough in terms of the industry coverage and level of recognition. If you are a finance professional with lots of exposure in accounting (or vice versa), CPA is a good choice and we recommend taking a closer look at that. If you are more into risk management, FRM could be an equally good qualification. You can also learn about finance, investment and management from an MBA as well. 3. Determine the Difficulty: Can You Make It? The CFA exam is notorious for its difficulty. Level 1 has a very wide coverage, Level 2 goes deeper in similarly wide coverage, and Level 3 is a beast. Unlike most US professional exams, the CFA program is a marathon, as in it takes several years to complete the whole program. A typical candidate spends 300 hours for each level, meaning 900 hours for the entire exam (and this doesn’t count possible retakes). Are you ready for this challenge? Back to the first point, have you identified one solid benefit to make the CFA investment worth it? Just how difficult is the CFA exam? Ultimately, most of us get licenses and qualifications for a better future, in terms of career prospect and salary. The CFA program is expensive at $3,000 at the bare minimum. This does not count the intangibles such as the time, sweat and tears involved. It is good idea to perform a SWOT analysis and make sure this investment makes sense. Looking at longer-term, does the CFA title help your personal and professional growth? The entry barrier of the CFA exam is surprisingly low. You are qualified as long as you have a bachelor degree in any discipline. Even if you don’t have a university degree, you can still take the exam as long as you have 4 years of experience, in any field. This means that practically anyone who either study or work for 4 years after high school is able to sit for the exam. A combination of the above, but part-time work cannot be counted. You will need to sign the Professional Conduct Statement and Candidate Responsibility Statement, and have a valid passport. If you spend the time thinking through steps 1 to 5, and still decide to continue, welcome! The following steps show you how to register, plan, study for and pass the this exam. The CFA designation is granted to individuals who complete the CFA Program. A typical aspiring CFA takes 4 years to become a CFA, although in theory the program can be completed within 18 months. The exam is offered twice a year for level I, and once a year for Level II and III. This is a sequential exam, meaning you must take Level 1 first. It is critical that you plan ahead in order not to avoid deadlines or running out of time to study. The early-bird registration starts as early as 9 months before the exam date. Go to the CFAInstitute.org website. In the horizontal menu, go to “program” and then to “register”. After logging in, there is specific instruction on how you can submit the proof of your exam requirements as discussed in Point 2 above. If the application is approved, you will receive an official acceptance by email together with the admission ticket within 2-3 days. If you don’t hear from them after 3 days, contact CFA Institute by email. For good and proper planning, you need to go over the format and curriculum. There are 240 questions equally divided into morning session (3 hours) and afternoon session (3 hours). The questions are NOT adaptive i.e. each question is independent of each other. All questions are equally weighted and there is no penalty for guessing. 10. Portfolio Management and Wealth Planning. These topics are organized into study sessions, each with assigned readings, learning outcome statements and problem sets. There are three level of exams to test the knowledge gained from these study sessions. The CFA Institute provides a comprehensive reading materials, known as the CFAI text book, as part of the package. In theory, you don’t need third-party guides to take the exam; but in practice, 70-80% of all candidates get supplements to speed up the studying, or to work on their weaker areas. 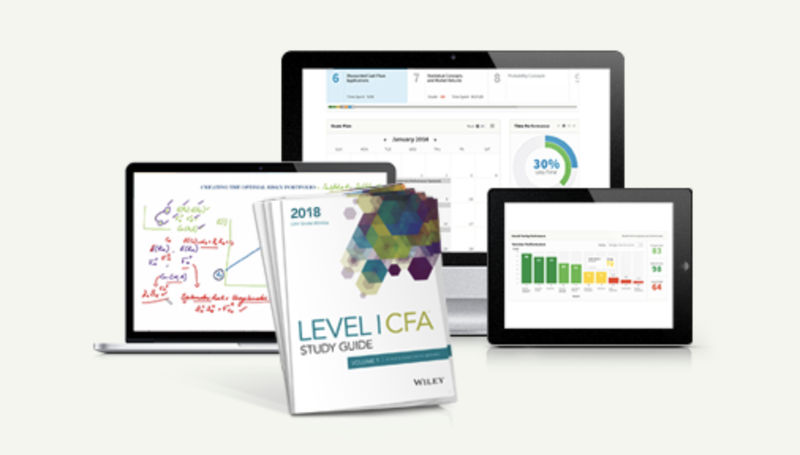 Schweser and Wiley (formerly known as Elan Guides) are the two most popular CFA review courses. Once you pass Level III, you need to accumulate 4 years of relevant experience before obtaining the charter. You can do this before, during or after the exams. Click here for details on CFA work experience requirements. Upon completion of the third (Level III) exam and 4 years of relevant experience, your will be invited to become a CFA charter holder. Continuing professional education (CPE) is required to maintain the charter holder status. How to Become a CFA in the Fastest Way? It depends on your commitment and whether you can pass the 3 exams on your first try. We know the process sounds complicated, but once you take the first step on how to become a CFA, it’s very doable. We are more than happy to help you along the way! If you find this article helpful, you may check out this frequently asked questions page. Best of luck to your CFA exam journey! One of the best and most lucid way to explain the CFA Universe as a whole.Thanks for this wonderful article. I have a simple question to ask.I have heard in some forums that too much dependence on CFA Official Curriculum for Level 1 can be detrimental as it may be difficult to grasp all the heavy contents that we studied for long. It’s understood that this will vary from person to person.So what are your views on this ???? Hi Stephanie !!! I want to do cfa bt I’m not that much good in finance field …so with dedication and hard work can i able to do this or not .